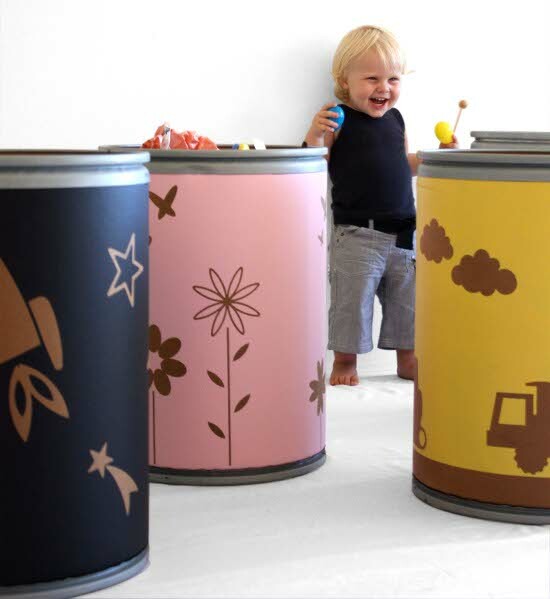 Cool and so clever, these Pomdrums from POMPOMuk are in a class of their own when it comes to kids’ toy storage. 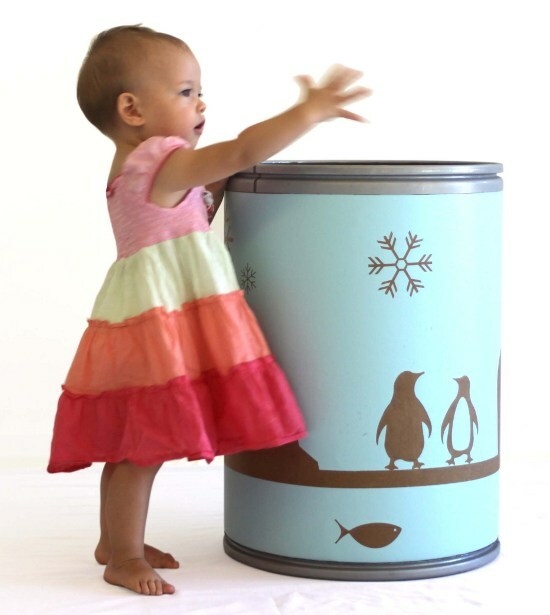 Pomdrums are a totally new concept that appeal to kids and parents alike and are full of the design gusto and inventiveness we yearn to see in children’s products these days. I’m really bowled over by the Pomdrums which are not just uber cool looking and practical (my daughter’s holds a lot of toys, is easily movable and looks right at home with our contemporary furniture) but also eco-friendly. 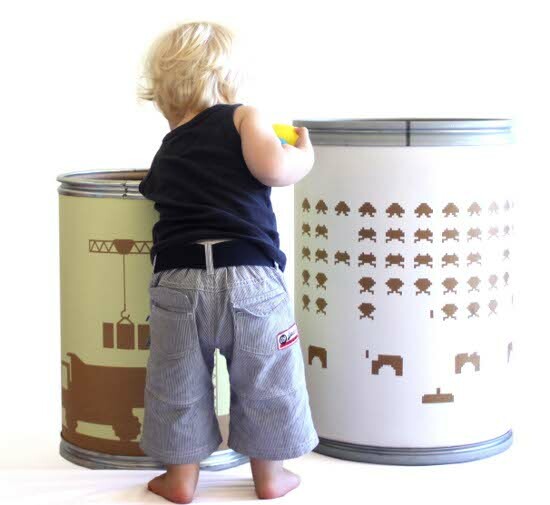 The drums are actually cardboard containers recycled from local businesses and transformed into child-friendly storage bins. Each is unique with small dents, scratches and even some labels left on to hint at its past life. The modern patterns and designs are featured in a muted brown – the original colour of the drums shining through proudly – along with an array of foreground colours to choose from. I think the ‘Invader Drum’ (pictured below in white) featuring their take on old-school video games is the bee’s knees. Available direct from POMPOMuk in small ($55) or large ($65) sizes, there’s an option to customise with text for a extra $10.